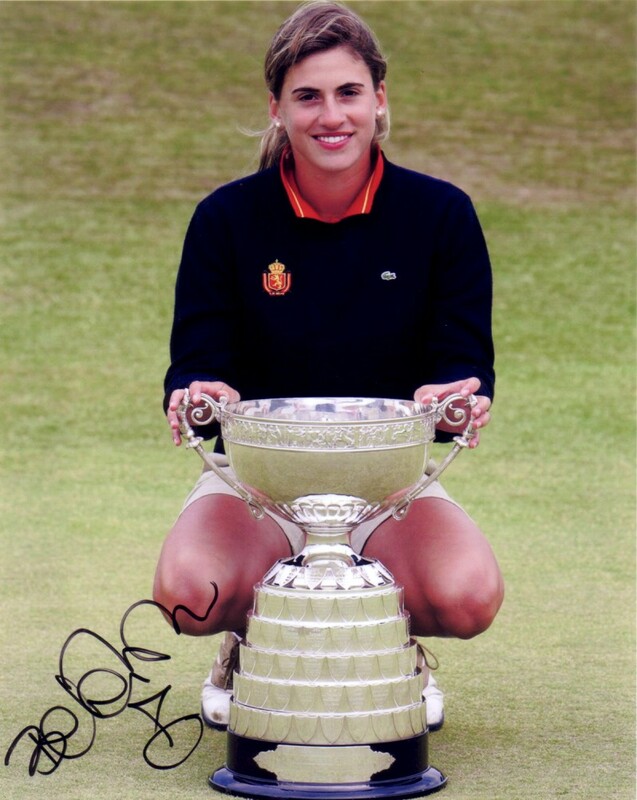 8x10 photo of Belen Mozo posing with her 2006 British Women's Amateur Championship trophy, autographed in black marker. Mozo is now on the LPGA Tour. With certificate of authenticity from AutographsForSale.com.